Sam is a certified Hypnobirthing Australia Practitioner and Childbirth Educator (HPCE) based in North Brisbane. She has a Bachelor degree in Psychology and is currently working as registered Nurse. Sam has experience in adult mental health and works as part of specialised peri-natal mental health team. She is passionate about natural birthing and is a member of the Maternity Coalition. After experiencing a traumatic birth with her first child, Sam understands the importance of the parents being validated, respected and informed during and after the birthing process. This experience has led her to discover Hypnobirthing. Sam strongly believes that every woman deserves to have a positive, empowering birth. By learning and embracing Hypnobirthing, mothers and birth partners are equipped with the tools and techniques to make this a reality. Sam is excited to have the opportunity to teach expectant mothers and birth partners the benefits of Hypnobirthing and to be part of their journey towards a calm positive birth. Melissa Spilsted is the Founder & Director of Hypnobirthing Australia™ and teaches parents hypnobirthing techniques in regular classes held at Paddington, Brisbane and Robina, Gold Coast. Melissa also teaches Practitioner Courses to childbirth professionals throughout Australia and the world. In addition to the regular Hypnobirthing Australia course, she has written a world first course for ‘Positive Caesarean Birth’. Melissa brings to her hypnotherapy and hypnobirthing classrooms over 20 years experience in teaching and professional qualifications. In addition to this – Melissa has successfully used hypnobirthing techniques three times herself and has had three beautiful, peaceful and calm natural births! Widely known as a hypnobirthing expert, Melissa’s TV and media appearances have included Channel 7 Sunrise, The Courier Mail, Woman’s Weekly, Nurture Magazine, Mother and Baby Magazine, Practical Parenting Magazine, Birth Matters, television and national radio interviews. Her work has also been showcased in the Royal College of Medicine in London and childbirth hypnosis albums (available through this website or iTunes) are popular throughout the world. Based on her success in delivering hypnobirthing classes over a number of years, combined with her personal and professional teaching, voice training and clinical hypnotherapy experience; Melissa has developed the Hypnobirthing Australia™ Program that incorporates modern, contemporary training resources and professionally recorded Australian practice recordings; that is uniquely designed for contemporary Australian families and systems of maternity care. Please click here to see Melissa’s timetable of classes and feel free to contact her directly to discuss your own positive preparation for a beautiful, calm birth. Mae’t is a Medicare Eligible Independent Midwife. She enjoys preparing mums and birth partners to have their best birth and an empowered transition to parenthood. Mae’t has been working with pregnant women and teaching childbirth preparation since 2004. Mae’t has three happy children, birthed in a hospital, a birth centre and a positive waterbirth. With experience in supporting women in birth, Mae’t has an interest and understanding of how to prepare mums and birth partners for a calm and empowering experience. Shari fell in love with Hypnobirthing after completing the Hypnobirthing Australia™ course back in 2011 and using the techniques to birth her first child. Shari went on to have a beautiful natural birth and felt so empowered by this experience she just had to pass on the message and program to other women and couples. Shari has now been teaching the Hypnobirthing Australia™ program for over 5 years and has taught hundreds of couples from all around Australia. Shari has also been awarded in our top 3 practitioners for the last 4 years running (2014/ 2015, 2016, 2017 & 2018) and Shari also works at Hypnobirthing Australia head office. Shari now comes highly recommended from Doctors and Midwives and has attended local hospital workshops where she has shared the Hypnobirthing Australia™ program to care providers and how they can support Hypnobirthing couples during labour. Shari has also been asked to speak at various events such as the Pregnancy, Birth & Baby Expos in both Gladstone and on the Gold Coast. Shari is passionate about creating a beautiful experience for couples both in the course that she teaches and in the support that she offers not only as a Hypnobirthing Practitioner but also as a mum who has Hypnobirthed. You can watch her beautiful birth video HERE on her website homepage, where Shari & her husband show how she used the techniques to have an amazing water birth. Shari offers group classes for both Natural Birth & our Positive Caesarean Birth Courses on the Gold Coast, Queensland, however, is available to travel if need be for one-on-one sessions or as Skype Practitioner for our online courses and is flexible and able to work in with you depending on your lifestyle. I am Caitlin, a childbirth educator, a registered nurse and a mother. My passion is helping mothers. Whether they are trying to conceive, pregnant, coping with a newborn or wrangling a toddler, I love hearing their stories, providing advice when I can or at least a shoulder to lean on. Since giving birth, I have provided casual encouragement to other women through my mommy blog http://www.motherdownunder.com. I am thrilled to be a hypnobirthing practitioner and to be able to positively support women throughout their pregnancy, birth and beyond. As a nurse, I have come to hypnobirthing from a scientific background, and I believe that empirically, the method makes so much sense. Our bodies are complex, are able to perform extraordinary feats and, just as they are capable of growing a perfect baby without our conscious input, they are also capable of birthing that perfect baby without much conscious effort. After experiencing a beautiful hypnobirth, I felt so empowered and positive. I strongly believe that, if your pregnancy and birth are the positive events that you hope they will be, you will enter motherhood feeling confident and better able to cope. I found that hypnobirthing enabled me to have a relaxed pregnancy, a natural birth and demonstrated that trusting my mothering instincts led to ideal outcomes for me and my baby. It is truly my wish that every woman has the opportunity to experience the pregnancy and birth that she desires. Kate is a registered nurse and midwife who has a passion for helping mothers achieve their goals for pregnancy, birth and postnatal. With over 20 years as a midwife in a variety of settings she is well qualified to offer new parents the information and support to make the transition form a couple to family. She currently works in a private practice as a private midwife, able to provide midwifery care throughout pregnancy and on discharge from hospital, with many services attracting a rebate from Medicare. Kate is very excited about the opportunity to add hypnobirthing to her suite of services, with a belief that hypnobirthing aligns well with her philosophy of midwifery. Gabriella from Beautiful Births has lived and worked in the Redlands Brisbane for over 20 years. She is a mother of four and has run a clinic from her home in Thornlands for ten years. Gabriella is a CBP. ABP, Birth Doula, Hypnobirthing Practitioner and independent birth facilitator. Gabriella’s passion and drive set her apart from her piers, she has dedicated her time to women and their families in her role as a Birth Doula and Holistic therapist. Her career has been a great success and very fulfilling. As a Hypnobirthing Practitioner Gabriella feels that she is able to give a greater amount of confidence and support to pregnant women and their families at a birth, especially when they fear the most natural thing a women can do (birth). My name is Leigh-Anne and I am a University trained Naturopath with knowledge in many holistic modalities including western herbal medicine, homeopathy, nutrition, Iridology, massage and Kinesiology. My husband and myself have two beautiful children, one of which was birthed using the hypnobirthing method. I wanted to incorporate hypnobirthing into my practice as I felt having experienced a very traumatic and out of control birth for my first, to having a very calm, relaxed and very much in-control birth for my second, I felt that this technique needed to be shared with all birthing mothers. There is a lot of information for pregnant mums out there on what to eat and what exercise to do whilst pregnant but not much on achieving a calm, in-control beautiful birth. Fear has replaced a woman’s natural instinct to birth in a calm, sacred and loving environment, hypnobirthing facilitates us to find that ‘safe’ place within ourselves to allow our bodies to do what they were designed to do. To find out more about hypnobirthing classes (including your course options) please CLICK HERE. My vision is to equip women and their partners in the Illawarra and surrounds with the knowledge and skills needed to make informed decisions around the birthing process. With this knowledge and confidence you will be able to achieve the outcome you desire and deserve – a positive, empowering and calm birthing experience. I live in Wollongong on the south coast of NSW with my young family. I am also a certified mediation teacher, paediatric massage consultant and teach key word sign as a communication aid for people living with the differently abled, the very young and the very old. I am also a Certified Infant Massage Instructor with the International Association of Infant Massage. I have previous experience as a research scientist and forensic practitioner and possess a number of management qualifications and degrees in various sciences. After a challenging emergency induction with my son I was able to choose differently for the birth of my daughter. With my daughter, there was time to employ my meditation training to have a natural, intervention-free, pain-free birth. Hypnobirthing teaches how to achieve this without the years of mediation practice. I run group classes in Wollongong with evening and weekend options. Private sessions are also available by appointment. Hi, my name is Jan Rourke. I have lived and worked with families on the beautiful Central Coast, NSW for over 20 years while raising my wonderful son here. I am a Registered Nurse, Midwife and Child and Family Health Nurse. I also hold a Bachelor of Counselling, Diploma in Relationship Counselling, and Certificate in Clinical Hypnotherapy. I am half way through a Graduate Certificate in Perinatal and Infant Mental Health and recently completed infant massage and Hypnobirthing training. As you may tell from this list, I am passionate about empowering and supporting families. I chose to undertake Hypnobirthing training as I have witnessed the impact of a negative birth experience on the mental, physical and relationship health of birthing families and have also observed the lifelong empowerment that can occur when the birthing experience is a positive one. I believe Hypnobirthing offers the opportunity for women and their families to strengthen and/or develop the skills to know and trust themselves, communicate their needs clearly and achieve a happy and peaceful birth experience. With this beautiful beginning the family is off to the very best start. Childbirth is a beautiful, empowering and wonderfully memorable experience – this is my mantra as I guide women and their partners through the Hypnobirthing Australia techniques and philosophy. Having experienced a truly amazing and beautiful hypnobirth myself, I know first hand that these techniques can and do work. I am passionate about empowering women to embrace birth and their innate ability to birth their child naturally, calmly and gently. I have worked in the “corporate world” for more than 12 years, having gained degrees in commerce in law. While still working in this “world”, I also teach Hypnobirthing to women and their birth partners. I take a relaxed and friendly approach during my classes, not only teaching the hypnobirthing techniques, but also weaving in advice and tips on how to reconnect and focus on your birth preparation in the midst of our often busy and demanding lives. Every woman deserves a beautiful and positive birthing journey – join me at Empowered Birth Hypnobirthing and I will guide you there. Vicki Hobbs is a certified Hypnobirthing Australia™ Practitioner who has received a national award for the last three consecutive years for her dedication to community support and knowledge sharing. She is a qualified Remedial Massage Therapist specialising in pregnancy, induction, labour and postnatal massage. Vicki is one of the most highly trained pregnancy massage professionals in WA having completed the NurtureLife® Pregnancy Massage Practitioner course in 2013 with Pregnancy Massage Australia as well as the Diploma in Pregnancy Massage & Maternity Care in 2008 after training with Suzanne Yates, who is a well-known author, midwife and the Director of the Well Mother Centre in the UK. Vicki has expert knowledge and training of the anatomy and physiology of the pregnant body, stretching during pregnancy, labour and birth positions and massage training for your partner as well as Spinning Babies techniques, acupressure and aromatherapy. She is also a certified Birth & Postpartum Doula and Childbirth Educator and is passionate about sharing her knowledge about pregnancy, birth and beyond to support women through all stages of their journey so they feel strong, confident and prepared. Vicki loves her work as a certified Clinical Hypnotherapist having trained with TAD James in 2006 and offers one-on-one pregnancy and birth hypnosis sessions for fear releasing and relaxation. She also shares beautiful Reiki and Energy healing sessions for mum (and baby) before, during and after pregnancy. Inspire Yoga and Wellbeing, Level 2, 685 Pittwater Road, Dee Why NSW 2099. Location of Services: I offer group Hypnobirthing Australia™ classes from Dee Why, Northern Beaches and also Copacabana, Central Coast. I also teach private classes across the Northern Beaches, North Shore and Central Coast. I am mum to two gorgeous boys who I hypnobirthed into the world with tremendous love, focus and strength, it was their empowering births that inspired me to become a Hypnobirthing Australia™ practitioner. I am also trained and experienced as a Hypnotherapist, Birth Doula, Natural Therapist, Energetic Healer, Flower Essence specialist, Angelic Reiki Master Teacher and Conscious birth leader and have been assisting couples of the Northern Beaches, North Shore and Central Coast to achieve calm and confident birth experiences since 2012. My intention as an holistic birthing expert is to inspire women and their birthing companions to achieve both positive and sacred childbirth experiences, I believe that the facilitation of quality and independent childbirth education through the Hypnobirthing Australia™ program supports this intention wholeheartedly. I know that everything a woman needs to birth her baby with strength, confidence and joy comes from deep within her. Birth is the ultimate instinctive act and even though in modern maternity practices it can sometimes be difficult to trust your instincts and know how to surrender, I am committed to reconnecting mamas to their feminine power, and to develop the trust and confidence in the inherent wisdom of their bodies. I am a member of the Holistic Birth and Parenting Collective, supporting parents through all aspects of their pregnancy and birth journey and I am also a Positive Birth Movement facilitator, dedicated to expanding the message of positive birth in the community. I offer group Hypnobirthing Australia™ classes from Dee Why, Northern beaches and also Copacabana, Central Coast. I also teach private classes across the Northern Beaches, North Shore and Central Coast. I can help you to embrace and feel nourished in your pregnancy and assist you to create the birth experience you truly deserve. Servicing: Victoria, Melbourne outer northern suburbs, Doreen, Mernda, Whittlesea and surrounding suburbs. Noelene is a midwife, hypnobirthing childbirth educator, life coach, baby massage instructor and maternal and child health nurse. In addition to this, she is a mum to three beautiful children; Tristan, Kate and Christopher. Her classes service the outer northern suburbs of Melbourne including, Doreen, Mernda, Whittlesea and surrounding suburbs. Noelene will give you the tools and techniques to enable you to transform from being a “fearful birth worrier into a courageous birth warrior”. Noelene is passionate about sharing her birthing knowledge, educating parents to help them achieve an amazing birth experience with the Hypnobirthing Australia program and then continuing to work after birth with mothers through the 12 week “Inspired To Success – Yummy Mummy” life coaching program and baby massage classes. Cindy Fenn is passionate and committed to helping woman and their birth partners birth their babies calmly, confidently and on their own terms. She believes birth is one of the most amazing and empowering things a woman’s body can do and knows from first-hand experience how successful the knowledge, skills and techniques taught in a Hypnobirthing Australia course can be for affecting a positive mind-set for your baby’s birthing day. She is a trained teacher so knows how to teach knowledge and concepts effectively and assist you to have the birth you want. Your upcoming birth is unique and special and with it a range of wishes, feelings and emotions can surround it – Cindy can ensure you are equipped to confidently meet whatever turn your pregnancy, labour and birth take. Cindy has Hypnobirthed her two boys and from this understands that each birth experience is unique. She has birthed in a hospital setting and at home and on her second birth had the good fortune of an unintentional, undisturbed birth. She believes that the best place for a woman to birth is where they feel most comfortable. Now also consolidating her passion with formal training in Childbirth wants all woman to have the best opportunity to experience their best birth. Classes can be taught privately in the comfort of your own home, or in small groups where you can meet other local couples at a similar time in your life. Pip Wynn Owen has been a Registered Midwife since 1995, a Childbirth Educator since 2004 and is also a Mother of 4. She passionately believes that the birth of a child should be the most beautiful and empowering time in a couples life. And that women should feel like Wonder Woman after giving birth. Like most hospital midwives Pip was “thrown in” to teaching antenatal classes, but it quickly became her passion and she decided she needed to do formal childbirth educator training. This dramatically changed her style of teaching and approach to prenatal education. However after the birth of her 4th child, her first with an obstetrician in the private hospital system, she realised there was a real need to step outside the system and give women a truly independent childbirth education service. Pip realises how hard it can be to find your confidence and voice in today’s birthing environment and that sometimes information isn’t enough. She knows that what couples need, on top of good quality education, is specific techniques, tools and strategies to enable them to ask for and get the birth they truly want. This is why Pip is delighted to be a Certified Hypnobirthing Australia™ Practitioner. She feels now she has found the programme that give couples the best chance at that beautiful, empowered birth she wishes for all couples. Through Pip’s passion she is fast becoming the voice for pushing for better births in Perth’s private hospitals with journalists seeking her opinions for television news, radio, newspapers and magazines. I am a mother of two gorgeous children. I am a yoga teacher, specialising in pre and post natal yoga, and am passionate about advocating for better birth choices. I have over 400 hours of registered yoga teacher training and have been practicing yoga for more than a decade. Here mind, body and soul are united through the breath. I believe this strong connection with my body is what enabled me to experience two amazing home water births, coupled with the support my midwife gave us in this setting. We felt empowered by knowledge, which gave us the courage to envisage our positive birth. When I came across hypnobirthing, I knew I had found something wonderful. Hypnobirthing is a natural extension of all that we embody on the mat, delving further into the bigger picture of how you can prepare yourself for the birth that you desire. Melissa brings to her hypnotherapy and hypnobirthing classrooms over 2o years experience in teaching and professional qualifications. In addition to this – Melissa has successfully used hypnobirthing techniques three times herself and has had three beautiful, peaceful and calm natural births! Widely known as a hypnobirthing expert, Melissa’s TV and media appearances have included Channel 7 Sunrise, The Courier Mail, Woman’s Weekly, Nurture Magazine, Mother and Baby Magazine, Practical Parenting Magazine, Birth Matters and national radio. Her work has also been showcased in the Royal College of Medicine in London and childbirth hypnosis albums (available through this website or iTunes) are popular throughout the world. Trudy is located at her “begins within … naturally” natural HealthCare and fertility practice centrally situated in Miami, Gold Coast. Her motivation is to work with you to achieve balance – physically, mentally and emotionally so you can live your life to it’s full potential and reclaim ownershipof your health. Trudy assists couples with preconception & conception care and birth preparation using herbs, nutriceuticals, bush essences, homoeopathics, lunar biorhythmic cycle calculations & hypnosis. Addressing fertility concerns and achieving positive fertility results for her clients within a short time frame using integrative natural medical treatments. As a versatile naturopath, homoeopath, medical herbalist and certified consulting hypnotherapist, Trudy uses her extensive health analysis & knowledge of natural therapies to cover a broad cross section of services & treatments. Tailoring individual programs designed to achieve optimum physical, mental & emotional health, whilst fitting in with the demands & diversity of each client’s lifestyles. Nutritional & lifestyle choices can profoundly affect fertility as well as the health of baby. Parents want the best possible start for their child and in fact it is a child’s natural birth right. For Trudy, Hypnobirthing Australia™ classes are a ‘perfect fit’ to her extensive treatments and to support women to achieve a calm and empowered birth. My name is Katrina Foord and I am a qualified Hypnobirthing Australia Practitioner. My interest in hypnobirthing has developed over my many years as a registered nurse, midwife, hypnotherapist, NLP (neuro linguistic programming practitioner) and a mother of two. Considering my background and experience it has become a natural progression to become a hypnobirthing practitioner. I had two very different birthing experiences prior to becoming a hypnobirthing practitioner – an emergency Caesarean (after being induced) and a VBAC (vaginal birth after caesarean). One of the differences I remember is that with my vaginal birth, I had a covering obstetrician who asked me to visualise myself on a tropical island to help me relax. I remember this helping enormously. I have always been interested in the power of the mind and subsequently completed courses in hypnotherapy and NLP. I have since used hypnotherapy for many things including walking on hot coals and completion of my first 1/2 marathon last year with ease. My aim is to teach women and their birth partners, techniques such as breathing, visualisation, relaxation and self-hypnoisis to empower them to have a calm, positive birthing experience. I have over twenty years experience as a midwife and childbirth educator in both the private and public sectors in Australia and the UK. I am currently employed as a Midwife at a large private hospital in Melbourne. For me being a midwife is best expressed by my personal midwifery philosophy. Being ‘with woman’ is grounded in the principles of health and well-being and combines both art and science. Midwifery is a partnership between the midwife and the woman and her family which encompasses the art of communication and trust, intrinsically linked with scientific knowledge and research and the practice of safe judgement. It celebrates the strength of women and I have witnessed the transformative power of a positive birth experience. I believe couples embarking on this journey should have knowledge that allows them to approach birth with positive anticipation and confidence. The principles of Hypnobirthing align perfectly with this philosophy of midwifery and the resources and skills that Hypnobirthing provides can make a positive difference and have a long lasting effect on a couple and their journey as parents. Hi, I’m Katherine, I am a mother of three young children and a certified Hypnobirthing Australia™ practitioner. I love teaching the Hypnobirthing Australia™ program to expecting couples! I have successfully used hypnobirthing techniques during the births of my babies and have experienced labour both with and without hypnobirthing. This program helped me to relax and enjoy my pregnancy and labour and have the most amazing experiences of my life, beautiful, peaceful and calm natural births. I really enjoy teaching parents the hypnobirthing techniques and helping them to release fears and anxieties towards birth. Society often focuses on the baby centred view of birth – as long as there is a healthy baby at the end that’s all that matters. I prefer to view birth as baby and mother (and father) focused, where mother’s wellbeing, physical, mental and emotional, is just as important as baby’s. I previously trained as a Mongan Method Hypnobirthing practitioner but have since trained in the Hypnobirthing Australia program as it is uniquely designed for contemporary Australian families. I am an experienced doula and childbirth educator in south-west Sydney. I personally used hypnobirthing for two of my births and found it to be empowering, transformative and healing. This is what sparked in me the deep desire to help other mums prepare for birth. I have supported clients (as a doula) who were using hypnobirthing in their birth preparation and have witnessed the incredible difference that it made to their births. I am very proud to be a Certified Hypnobirthing Australia Practitioner, and offer these amazing classes to the women in my area. I truly believe that birth is meant to be a beautiful, sacred and positive event in our life; and it can be with hypnobirthing! Melissa Ayling is a certified and award winning Hypnobirthing Australia™ Practitioner and has shared this special program with many couples of Geraldton and its surrounds. She is also a certified Meditation Therapist, Holistic Counsellor and has worked in administrative support in the medical field for 10+ years. “I have always been very independent in life. However when I first became pregnant back in 2013 I realised quite quickly that pregnancy was a time where support was critical and that birth was an adventure I would need to prepare for. My common sense was telling me there was more to childbirth. I wanted to approach my birth the way I approached my life. Positively, naturally and consciously. I felt there was a lack of complimentary resources for pregnant women including limited childbirth education classes that acknowledged the feminine power and value of birth. I found it hard to talk to people about the birth I was preparing for. I had no one to confide with and turn to ask my (many) questions. And despite many nudges on my part, I just couldn’t get my partner on board and understand the birth I wanted. I felt unheard. Thankfully, the universe sent me hypnobirthing. The positive mindset I developed, as well as the knowledge and tools I learnt, helped me gain confidence in my ability to give birth & removed all of the fear from the equation. Oh, and the cherry on top? I’ve birthed not one – but two – babies into the world using Hypnobirthing. My first in a beautiful, calm and in control natural hospital birth and the second in a crazy-beautiful, exhilarating on the side-of-the-road car birth. Yes, I gave birth in my car! I know I was only able to do this because I had the hypnobirthing preparation to optimise the birth process and the tools to comfort myself during all its challenges and intensities. Hypnobirthing changed my life – in fact, it became my calling. I’m now so passionate about bringing LIVE Hypnobirthing Australia™ classes to the Geraldton area – real time support & resources that were not available until recently. I want to support and inspire women the way I would of have loved to be, too. I want to remind women that nature wants us to want to give birth. It doesn’t want us to fear it and meet our children full of adrenaline. Nature wants us to meet out babies full of oxytocin and feeling love! I believe birth is one of the heights of human experiences. During birth, a woman should feel at her most powerful she has ever felt during her life. She is also at her most vulnerable. Imagine a world where ALL women felt informed, honoured and empowered at this time? Imagine the impact of every woman entering motherhood with a deep belief in themselves? My name is Laura. I am a Registered Nurse, Registered Midwife and Certified Hypnobirthing Practitioner. In 2010, I graduated from Curtin University, WA after studying for a Bachelor of Science in Nursing. After working as I nurse, I quickly developed a passion for midwifery. In order to develop this passion, I returned to university to complete a Postgraduate Diploma. With the benefit of having experienced several traumatic births, I now appreciate the importance of women being understood, in control, respected and informed before, during and after the birth. This passion has lead me to discover and enjoy the journey of hypnobirthing, allowing me to give the birthing mother and their partner back the power of control. I believe my midwifery philosophy and hypnobirthing go hand in hand. I have come across many women who are fearful of childbirth, mostly due to what they see online, stories that they have heard from friends, and some also due to previous personal experiences. I also believe that every woman deserves a calm and empowering birth. By providing women with the knowledge, and their eagerness to embrace hypnobirthing, the mothers and birth partners are provided with techniques to make this a reality. My goal is to encourage and empower expectant parents to make informed decisions and achieve a calm and positive birth. I aim to teach women the techniques required to release their fears and replace them with endorphin’s. Pain is a result of fear and tension and can be diminished through the use of hypnobirthing. I also aim to provide women with the knowledge and tools required for them to relax, stay calm, feel empowered and be in control of their birth. It is my wish that every woman has the opportunity to experience the pregnancy and birth that she desires. Let ME teach YOU the techniques for a calm and positive birth. I am a certified pregnancy massage therapist, a certified Hypnobirthing Australia ™ Practitioner and I am a proud mother of two precious girls. My aim is to provide holistic care for birthing mothers and their birth partners, assisting to prepare their body, mind and spirit during the pregnancy and birth through massage therapy and the Hypnobirthing Australia ™ program. I believe that ‘Having a baby’ is such a special moment in life. This intimate time paves a pathway for building the special relationship that exists between a mother and baby, also as a family. Becoming a mother was the most amazing and empowering experience I’ve ever had. I had beautiful, natural and gentle birth for both of my little ones using the same techniques and mindset that we teach in our Hypnobirthing Australia ™ class. Empower, enhance and enjoy your primal birth instincts with Birthing Breeze. Jess is a Fertility, Pregnancy and Wellness Coach and an Australian Certified Hypnobirthing Practitioner. Jess is passionate about all things fertility, pregnancy and birth! She is a big believer in the power of the mind-body connection and how this can be used to create an empowered, positive birthing experience! With a background and qualifications in psychology and coaching, Jess loves working with women and birth partners, helping them to let go of any fears about birthing! She is dedicated to arming mothers and birth partners with practical tools, relaxation techniques and information about childbirth and birthing options to create a mindset of confidence, courage and positivity as they prepare for their amazing birth! Hi, I’m Sarah. I’m a Clinical Psychologist and a Hypnobirthing Practitioner. I became passionate about birthing, during the pregnancy of my first child in 2013. My daughters birth was the most challenging, but beautiful and rewarding event I have ever experienced. I genuinely believe that the preparation I did throughout pregnancy and her subsequent relaxed entry into the world, made a contribution to her being such a calm, happy and alert baby. You only get one chance to birth your baby, so it makes sense to give you and your birth partner some tools, to be as informed as you can be, for the arrival of your precious little one. I look forward to working with you, to help you prepare for the beginning of your journey with your baby. Private health rebates are available. Please discuss payment options, if you are a healthcare card holder. Group classes on weekends, 2 consecutive Sundays from 9am-5pm (with breaks). Please discuss alternative arrangements, if a group class does not suit. Hi, my name is Karen and I have worked with women and their families as a health care professional for over 30 years. My work is also my passion. As a registered nurse my speciality has been in sexual and reproductive health and when I completed post graduate studies, I became a midwife and still work in a private hospital setting today. With years of experience behind me I have gained a clarity into what women need to have the birth they desire. Teaching Hypnobirthing and becoming a doula has allowed me to empower women to achieve their goals. If you would like to know more about me and what I can offer you, don’t hesitate to call or email. Feel free to click on my Facebook and Web pages, I have lots of info about pregnancy, birth and parenting. Hello, I’m Debra, Midwife, Mother of four and passionate about every birth being a positive experience for every family. My children were all born before I was a Midwife or a Hypnobirthing Australia Practitioner. Their births span 3 decades and 2 centuries. I know, this makes me sound old, but it has given me wisdom on many levels. Conventional Hospital Birthing Classes classes can be quite confronting. I know, because I teach these classes, both locally and previously at a large private hospital in Melbourne. The facts need to be taught in these settings, but often they are large, rushed and impersonal. Family and friends often feel it their role to inform a pregnant woman “How it was for me”. These uncensored stories and other life events can instil fear for many women. I want to empower couples to be knowledgeable, flexible, assertive and prepared, no matter the mode of birth. I want to help pregnant women and their birth support person overcome fear and anxiety they may have. Instead filling their birth preparation with positive images of birth and practical tools to cope with the journey through pregnancy, labour and birth into their parenting. By attending one of my Hypnobirth Australia courses I can share all this with you. Phone 0428 560 658 for more information or booking. I am a hypnobirthing mother, Hypnobirthing Australia™ Certified Practitioner, a doula-in-training, and a positive birth advocate. After the birth of my daughter in 2013, I knew that I wanted to be involved in birth and to ultimately help other women achieve the positive birth experience that I did. It is my belief that it is every woman’s right to experience a positive and empowered birth; the Hypnobirthing Australia™ program can help women to achieve this. That’s why I’m so excited to be able to offer this method of childbirth education to women, and their birth partner’s, in my area. As a Hypnobirthing mother, I can offer you a unique insight into what it’s like to hypnobirth your baby, and I look forward to sharing my knowledge and experience with you at such an exciting and transformative time. I am a midwife and have seen many changes in the care of birthing women. I have always understood the importance of empowering women and have promoted this in my midwifery practice. The miracle of growing a little person and birthing in a calm and gentle way consumes me to the point where educating other midwives and doctors has been a career long obsession. Every women deserves a wonderful birthing experience and by hypnobirthing you will be able to empower yourself to achieve this goal. I will help you to trust birth by teaching deep relaxation, and equipping you with tools to confidently and calmly birth your baby. Natural birthing is how nature intended and interventions should be welcomed in special circumstances only. I invite you and your partner to gain the birth you deserve by attending hypnobirthing education with me in beautiful Yamba. I’m an independent midwife in Greece. I love to participate in natural births and in homebirths. I believe that every woman has the stregth and the right to give birth wherever she wants. I am with her not to guide her but to help her to have the birth that she deserves. I am a mother too, and I had a wonderful homebirth/hypnobirth. That was the reason that i wanted to share hypnobirthing with other women and show them that hypnobirthing helps to have a calm and easy birth. Also, I am an Lactation Consultant (IBCLC), an Infant Massage Instructor (IAIM), a Certified Hypnobirthing Practitioner (HPCE) and a member of Attachment Parenting Hellas (APH). Pregnancy and childbirth are a unique and different journey for each woman. In this journey we are supporters, helpers and companions with knowledge, sensitivity and sympathy … because every pregnancy and every birth is a big lesson for us!!! Kathryn is a mother of two, Doula and Positive Birth Movement Facilitator who has been working with couples since 2012 to help them achieve beautiful, empowering birth experiences. The birth of her first daughter inspired her to train as a doula. After supporting many hypnobirthing mums and seeing how effective the tools are, she became a Hypnobirthing Australia™ practitioner in 2015. Kathryn used the Hypnobirthing Australia™ tools herself for the birth of her second baby girl in July 2016. Kathryn is passionate about helping couples to be informed, prepared and excited about the birth of their baby. She hopes all women can come to have confidence in their innate abilities and instincts so they can get the most out of the rite of passage that is birth. caring, intuitive and practical doula support (educational, emotional and physical) for labour, birth and postpartum. Kathryn teaches group classes in Dee Why on Sydney’s Northern Beaches. She can also take you and your partner through the course privately. Kathryn provides doula support to couples across Sydney. “Being a first-time mum, I attended every birth class my obstetrician provided. Each time we left feeling traumatised, it was all ‘this will happen to you’ and ‘this will happen to you’. I had always wanted a water birth, but I wanted to know HOW I could do it in a calm, empowered way. Kathryn came to our home to teach us privately. Each time she left we felt more empowered and ready for birth. When the day came everything went perfectly … the midwives said I was deep in the self-hypnosis and a birthing goddess! I felt extremely empowered and having this amazing birth has carried me into an amazing intuitive journey of motherhood. My name is Amy and I am a mum to three beautiful children who fill my heart and home with laughter and love and keep me on my toes each and every day. I am a Registered Midwife a Registered Nurse and a Hypnobirthing practitioner. I work with two midwives at Coastal Midwives and will be commencing employment at the Gold Coast University Hospital soon. I have a passion for antenatal education and empowering women to achieve the birth that they desire and I believe that Hypnobirthing allows women to achieve this. I believe that all women have the right to a joyous, memorable and loving birth and I would love to assist you and your birth partner to gain knowledge and to learn strategies and skills that will help you to achieve an awesome birth experience. I’m Hannah and I am a Midwife, Childbirth Educator and Hypnobirthing Australia Practitioner. I work with women who are overwhelmed by their upcoming birth, helping them to take away the fear and teaching them how to work with their body to achieve a beautiful experience. I am passionate about providing knowledge and supporting women and their partners through their own journey of pregnancy, birth and early parenting. As a Hypnobirthing Practitioner I have combined my theoretical knowledge, real life labour and birth experience, and of course the Hypnobirthing training to provide you with an antenatal education program that supports and empowers you to achieve a positive birth experience. I am currently employed as a Registered Midwife at one of Adelaide’s biggest maternity hospitals, run regular group as well as private Hypnobirthing classes, and also provide consulting services to support women throughout their preconception, pregnancy and postnatal journey. I would absolutely love to work with you on your journey. If you are ready to take the next step – to learn, relax, be supported, and to feel confident about your baby’s birth – contact me to find out more. Hi, my name is Martina, and I live in the Northern Rivers with my husband and our two beautiful sons. During my second pregnancy I discovered Hypnobirthing, after not having had the birth I wanted the first time. So my husband and I signed up for a course, and my second birth was the opposite of my first and exactly what I had wished for! It was a calm, relaxed, but also very empowering birth, where I knew what my body was doing naturally and how I could support it in doing that. I truly trusted my body this time and I didn’t need anyone to tell me what to do because I knew it myself. It is a most wonderful memory to me now. Straight afterwards I knew that I would like to share these amazing hypnobirthing techniques with other women, since I know the difference it makes first hand. I would love to teach these skills and knowledge to you and your partner to also achieve a calm, relaxed and beautiful birth, the way Nature had intended it to be. To create an experience for you to fondly remember and feel empowered by for a great start to your journey into parenthood. Hi there, my name is Stephanie and I am a midwife, nurse and hypnobirthing mum to my wonderful son Oliver. During my pregnancy, I learnt a lot about pregnancy and birth from a very different perspective- as an expectant mum! Having been involved with many different labour and birth situations as a midwife, I became fearful that I would not achieve the birth I desired. I knew it was important to prepare myself and my partner as much as possible to ensure we had the best chance at achieving the birth we wanted. This is how I was introduced to the wonderful world of hypnobirthing! I learnt firsthand what a moving experience birthing can be. After learning tools and techniques to use in my labour, I achieved the birth I dreamed of and knew it was important that I continue to spread the word on this awesome method of birthing. Teaching hypnobirthing is important to me because I want the opportunity to give women the knowledge, support and empowerment to achieve positive birthing. I look forward to meeting you and your family and joining your journey during this exciting period of your life! Trish is the mother of two children, both ‘hypnobubs’. Her own beautiful birth experiences have inspired her to want to share the tools Hypnobirthing Australia offers with other women to help them achieve the calm, joyful, and positive birth that they and their baby deserve. As well as being a Certified Hypnobirthing Practitioner, Trish is also an award winning Singer, Songwriter and a highly respected Estill Certified Master Teacher and Vocal Coach. Her 20 plus years of performance and teaching experience are utilized in her engaging, inspiring and effective delivery of the Hypnobirthing Australia material. Trish knows first hand that these techniques can and do work and is passionate about empowering women to embrace their innate ability to birth naturally, calmly and gently. Hello, my name is Lynette and I live on Tamborine Mountain with my husband and three beautiful girls. I discovered Hypnobirthing during my third pregnancy and feel compelled to share the gift of knowledge, support and empowerment Hypnobirthing delivered to me during my pregnancy and labour. I’ve studied psychology, therapeutic massage and healing dance and believe these fields of knowledge have been integral in my path towards becoming a Hypnobirthing Australia Practitioner. Combining all of these skills with my own (and others) birthing experiences, interactions with countless other parents and medical professionals, I truly believe all women can birth feeling calm, empowered and relaxed with Hypnobirthing techniques. I believe these feelings extend towards confident parenting too. When we as parents feel strong, competent and capable and can trust in our bodies and feel empowered in the birthing process, there’s an unlimited amount of joy that can be experienced in all facets of our lives. It all starts with learning to Hypnobirth! Hello, my name is Agnele (pronounced as Aniele). Professionally I’m a midwife and privately I’m a mother of 2 beautiful children. I chose hypnobirthing as my preferred method in childbirth education because I believe it teaches and inspires women, along with their partners as effective support, to birth calmly and fearlessly. Nature intended for women to give birth with confidence, yet for many pregnant women I’ve met, the perception of physical pain involved provokes fear and apprehension of the birthing process. I want to support pregnant women and their partners to learn some important and valuable mind and body techniques. I believe these techniques will provide confidence, support and strength allowing you and your partner to embrace the birthing process, not fear it. As a midwife and a fellow hypnobirthing mum of two, I am extremely passionate about ensuring women feel empowered during pregnancy, labour, birth and beyond. After using the Hypnobirthing Australia technique twice myself I want to enable other mums have the amazing experience I was able to experience, one full of love, empowerment and knowledge. Contact me today to book into a course in Darwin and surrounds. My name is Georgia, I am a Midwife and have been fortunate enough to have witnessed beautiful and empowering births. Alternatively I have seen women in extreme states of stress and panic, resulting in negative and unfortunately traumatic birth experiences. I believe the difference between birth experiences is education, I feel there is a lack of information regarding the techniques and skills to assist you in creating a safe and peaceful environment for labour and birth. I understand the importance of trusting the body and remaining calm and relaxed to allow labour to progress as it is designed to, I am passionate to help you also gain this understanding because I truly believe it has the power to make a positive change to the birth of your baby. I want to educate you, inspire you and help you achieve the birth you deserve. I want your birth to be the highlight of your life! I believe it is your birthright to have a positive experience and by hypnobirthing you have the power to achieve this. I would feel truly honoured and privileged to have the opportunity to guide you through the hypnobirthing course. Six years ago, I became a midwife to help support women during birth. In those years I have spent majority of my time working in the private sector. I have cared for many women who have walked into the birthing suite with no real thought on how labour will be. They are simply willing to hand their care over to their caregivers and allow many of the decisions to be made for them. Nurture Birth Education was born out of a need for something different in the birthing services field, especially in the private sector. I aim to educate women and their partners to empower them during their pregnancy and birthing journey. Following the philosophy of hypnobirthing I wish to provide women with the tools to overcome the fear and anxiety of birth for a positive birthing experience. I’m a clinical-perinatal psychologist, and Mum to two happy little hypnobubs. When I was preparing myself for the birth of my first daughter, I was terrified of the pain so I started researching and found Hypnobirthing Australia. Not content to simply sign up as a Mum, I decided I would complete the practitioner training and use myself as a guinea pig! I figured if it could work for me, then I’d teach it. My labour with my first born was intense and super quick, but I felt calm and recognised what was happening to my body each step of the way, just as hypnobirthing taught me. My second daughter was a whopping 5.0kg with severe shoulder dystocia (stuck shoulders) and I birthed her without any drugs or intervention. I simply couldn’t have done it without Hypnobirthing Australia classes. It was absolutely a key element in preventing what could have been a very traumatic birth for me. My absolute pleasure and passion is in preventing and healing from birth trauma. I have such a passion for perinatal mental health, women’s wellness and parenting. You can find my words on parenting websites such as Essential Baby and Essential Kids. I’ve also provided expert media comment for publications like Kidspot, Dolly, and Take 5. As a practitioner, and a mother, I really am personally invested in this program. I believe the positive, evidence-based approach used in Australian Hypnobirthing makes all the difference to a calm, empowered birth. I am a Clinical Hypnotherapist and Counsellor who is passionate about empowering women to birth with confidence. We live in a time where our society seems to promote fear around birth and it is such a shame because it doesn’t have to be that way. I have been fortunate to have 3 beautiful natural births and recognised so many things in this wonderful program that can help couples experience the birth of their children calmly and without fear. Location of Service: Emerald, Berwick, Upwey Victoria and surrounding areas. Hi, I’m Julie. I am a Registered Nurse and Midwife and I am currently working in a private hospital as a Lactation Consultant and Child Birth Educator. I first came across Hypnobirthing many years ago and was very impressed with the calmness that surrounded that birth. I am very grateful to this family who inspired me to find out more and later to become a Hypnobirthing Practitioner. I am very passionate about working with families through pregnancy, birth and after the baby becomes part of the family to help make the journey the best possible experience no matter what the circumstances. Please feel comfortable to contact me with any questions. I am able to provide Hypnobirthing classes and follow up support in the areas surrounding Emerald, Berwick and Upwey Victoria. Dannielle is a Critical Care Registered Nurse, Yoga Practitioner and Yoga Teacher, offering Pre-Natal and Restorative Yoga to expectant mothers. She encompasses the philosophy of natural child birth where possible. Her intention is to prepare expectant mothers and their birth partners through education, empowering them to create a unique individual experience free from unnecessary fear and anxiety, giving expectant mothers the confidence to trust in themselves and the birthing process. Therefore facilitating the transition from pregnancy to parenthood and creating positive, loving and joyous memories along the way for everyone involved. Danielle offers, one-on-one couple session, monthly group sessions, refresher courses and hypnobirthing for caesarean. As a registered nurse, midwife and maternal and child health practitioner, I care for families through providing safety, security and understanding through the complex and sometimes daunting experience that is childbirth and early parenthood. On a personal level, I have often found myself struggling to come to terms with the highly medicalised, unintuitive and business-like path birth has taken in Australia. Through the media and health professionals instilling the subliminal message that birth is a high-risk event to be managed and feared, we have lost the ability to trust the incredibly clever process that is natural birth. As a certified Hypnobirthing Australia practitioner, I offer women and their partners the opportunity to explore birth as a natural life experience. Equipped with a balance of information around natural techniques, normal birth physiology and the art of deep relaxation, parents and their babies can look forward to a safe, positive and gentle birth experience. Hi, my name is Lisa, a passionate midwife of 4 years and paediatric nurse of 14 years. I believe that it is the right of every woman to have a positive, empowering, beautiful and calm birth. I commonly see women come into hospital to have their baby with minimal knowledge of what to expect in labour and are happy to hand over all decisions to care givers. The education and tools given in the hypnobirthing class, allows you and your birth partners to approach labour and birth in a positive way, with confidence to trust that your body is made to birth your baby and feel empowered that you can do it. With the aim to birth your baby calmly in whichever direction your labour journey takes you. I myself have 3 beautiful children. Having had a normal birth, an emergency caesarean and a VBAC (Vaginal birth after caesarean), I know too well how important and how much of an amazing, long lasting effect, a positive and calm birth experience has on later life. It would be such a privilege to teach you in this class. I want to inspire you, educate you and help you get your own positive birth. Location of Service: Cohuna, Kerang, Echuca, Tatura and Shepparton areas. Tracey has used hypnobirthing techniques herself twice and has had two positive birth experiences. This is where she gets her passion to help other mothers and birth partners to have a positive calm birth experience as well. Tracey has been working in the health field for over 12 years, 9 of which as a Health Coach focusing on behavior change and using the power of the mind. As well as training other health professionals to become Health Coaches. Tracey has many years of experience helping people to reach their goals and fullest potential. She is passionate about supporting mums-to-be and their partners during their pregnancy journey and preparing for a positive birth experience. Hypnobirthing taught me techniques to use during my birth and I am very thankful to have learnt them, that’s why I want to pass these onto others. Classes available in the Cohuna, Kerang, Echuca, Tatura and Shepparton areas. Stevie-Jae is a Hypnobirthing-Mum and experienced the benefits for herself when using the Hypnobirthing Australia techniques for the birth of her son. She is an advocate for the importance of maintaining a healthy mindset during pregnancy and labour. Her goal is to help expecting families prepare for the birth of their baby in a positive way because having a baby is a beautiful experience and should be celebrated. She believes Hypnobirthing Australia provides women and their birth partners with invaluable tools for their mental hospital bag. Her holistic approach includes: prenatal yoga support, Hypnobirthing classes, postnatal yoga for postpartum recovery and Mum and Baby Yoga for bonding between mother and baby. Stevie-Jae has been a student and teacher of yoga for over 13 years in Australia and abroad. She has studied Vinyasa Hatha yoga, completed Prenatal and Postnatal Yoga teacher training and Core Strength Vinyasa training. She is a high school Biology teacher and has completed postgraduate research at the University of Queensland into the benefits of yoga for stress relief. She offers classes at her peaceful, purpose-build studio in Morayfield. Additional classes are held in North Lakes and Scarborough. My name is Joyce, mother of two beautiful, healthy children and I live/work in Lennox Head, Northern Rivers, NSW. I have worked in many professional areas before discovering the immense passion I feel in helping others with unfolding the incredible power of their own subconscious mind. At 38 years of age, I was drawn to what I would now refer to as my “Life’s calling or Life’s purpose”. I had been practicing Clinical Hypnotherapy for approximately 2 years before I realised that I could do more. I was deeply touched after watching a video of a ‘hypno- mum’ and I knew then that I could make a real difference in the lives of parents-to-be (and their unforgettable experience of childbirth), helping parents to achieve a beautiful, positive and memorable birth experience. I have found hypnobirthing to be an incredible tool to have in my box of expertise, helping mothers and their partners to walk through their journey of childbirth and beyond, feeling more empowered, confident and at ease. I look forward to walking this journey with you. I was one of those pregnant first time mums hearing all the horror stories and became so fearful of birth I focussed on everything else but the arrival. Put it to the back of my mind and kept saying I would get an epidural. The further I got into into pregnancy I started to come to the realisation that an epidural was just not going to be for me or my baby. I preferred more natural non toxic ways of living, so this really wasn’t a selection of my lifestyle. I took a leap and started researching options, and it was my mother who was living in the UK that had heard about Hypnobirthing. Once I contacted Hypnobirthing Australia I felt like a weight had been lifted off my shoulders and after finishing the course with my partner, we both looked forward to our birth with some clear knowledge and a new found excitement. I have now Hypnobirthed two children; they were completely different labor but both empowering experiences. I found I had a newfound appreciation for my body, but I also understood the power of my mind, which was mind-blowing. After this I realised and also witnessed mums around me having either some stressful births, or missing out on the relaxation and empowering experience. It has become my mission since to give that support and knowledge to other mums, so that they can have their own unique and beautiful births. Qualifications: Kerry Sutcliffe, Bsc(Hons), MPhil, PgCert APIMH, DipCouns, DipNLP, HPCE. Kerry Sutcliffe is a Certified Hypnobirthing Practitioner and Childbirth Educator (HPCE) based in Inner West Sydney. Kerry is a hypnobirthing mum to three young children and her first-hand experience of giving birth using hypnobirthing techniques has resulted in three calm and empowering births. These experiences have led her to being a passionate advocate for this approach to birth. With a background in Psychology, Counselling and Mental Health, Kerry has worked extensively with people living with anxiety and depression. The psychological and physical health of new and expectant mums is now the primary focus of her work. Kerry has found the HypnoBirthing Australia™ course to be the most comprehensive, realistic and supportive programme available to mothers and their birth partners. When delivering this course Kerry presents the content in an understanding and reassuring manner and feels privileged to support mothers and their birth partners towards a calm and positive birthing experience. After working individually with women as a certified Birth Doula and Self Hypnosis Doula, bearing witness to the difference that self-hypnosis was making for individual clients, Casey believed that everybody should have access to the Birth Education and skills taught through hypnobirthing and so became a Hypnobirthing Australia™ Practitioner to provide services that enabled her to reach more women. As well as supporting women through their pregnancy and birth as a certified Birth Doula, Casey is also a certified Placenta Encapsulation Specialist providing women with services to aid in their postnatal healing. Casey was well known throughout the Macarthur Area on the outskirts of Sydney and has now made the move to providing services to the women of the Blue Mountains and the Central West being based near Lithgow NSW. Donna is a Registered Midwife, certified Master Practitioner & Trainer of NLP & Hypnotherapy, Life & Parenting Coach. She is also a Certified Practitioner Hypnobirthing & Childbirth Educator, & an Accredited Consultant & Trainer in Human Behaviour, who believes that becoming a parent, is one of life’s most treasured gifts. A Hypnobirthing course with Donna prepares you for embracing your experience from a mind-body connection perspective. You will release any fears you hold, understand the power of your body, & be given powerful tools that positively influence your birth, as well as strengthening your relationship & connection to your partner. This allows for smoother transition to parenthood & a happier, calmer baby. The techniques Donna teaches will be used in everyday life to help you feel & be the confident, calm, loving, supportive & engaged parent you want to be. Her philosophy is that EVERY birth can be a POSITIVE experience, & that the Hypnobirthing Australia techniques will give you that. Donna’s passion is working with mothers & their birth partners to ensure you are educated & confident, clear on choices & roles, & fully equipped so you get to experience a positive & calm birth regardless of the situation & circumstances. Let your story be positive & joyous. Donna looks forward to working with you to make this journey truly magical. I have proudly been working as a registered nurse and midwife for over 10 years. During this time, I have worked in a wide variety of women’s health and maternity settings. My role at Geelong Born focuses on independent childbirth education and midwifery support. I strive to empower, inspire and bring confidence to expectant parents. I am mum to my two beautiful little girls. My own positive birthing experiences have given me further drive to promote pregnancy and childbirth as a natural and profound life event. I believe all births are unique and that women should be supported in a way that is individually tailored to their own needs. I draw upon experience as a mum and a midwife to ‘keep birth normal’ and avoid unnecessary intervention. I am delighted to be a Certified Hypnobirthing Australia™ Practitioner. I passionately believe this program gives couples the best chance of achieving the birth they dream of. I take a relaxed and friendly approach during my classes and I feel very privileged to be teaching expectant parents how to give birth in such a calm and positive way. I am a qualified Clinical Hypnotherapist and Counsellor and I have had a keen interest in working with people for as long as I can remember. My passion is helping clients holistically to explore, create and achieve the life they want for themselves. Over the last ten years, I have worked in various counselling roles, to assist people to bring about positive changes in their lives. I have worked with individuals, couples and families, to help them face the challenges encountered in their daily lives and to help bring back their sense of balance and harmony. I have experience in the treatment of grief and loss, depression and anxiety, fears and phobias, addictions, goal setting and relationships. It is my belief that hypnobirthing, hypnotherapy and counselling are respectful and gentle ways to create meaningful and long-lasting changes. As a registered Clinical Hypnotherapist with the Australian Hypnotherapists Association, you may be eligible for a rebate. Contact your Private Health Fund to discuss. Hi there! I’ve been working with birthing women for over 15 years. I’ve been a midwife for nearly 13 years and what a wonderful journey that’s been. It’s such a privilege to work with families in my community. I’m a mother of 3 and all of my births have been with midwives and have been wonderful, life changing experiences. The midwives who cared for me provided such helpful, patient encouragement, I’m indebted to them for life. Having said that, my aim for families that I work with is to be able to say “We did this together, as a couple !” and to be able to feel like they are stronger as a couple and more empowered together. I’d like couples to feel like they had all the tools themselves, and that it doesn’t necessarily matter where they birthed or how they birthed but they feel empowered and positive about their birthing experience. Able to go into parenting as a couple who are stronger and ready for whatever parenting has in store for them. This is what Hypnobirthing can do for you !! I have been a midwife for 15yrs – I am also a nurse, a lactation consultant and have a post graduate degree in psychology. I have worked in various settings as a midwife including, most recently, in independent practice. I co-own Eastside Midwives with Helen Barrington, a hub of activity for pregnant families and new parents. I am a mother to two boys (18yrs and 7yrs) and learnt as much from their births as I did from my experience as a midwife. Using hypnosis during my second birth made it an amazingly empowering day and inspired me to become a Hypnobirth Australia Practitioner. A Hypnobirth Australia course in our beautiful rooms in Boronia will provide you with the knowledge, tools and confidence to make your birth everything you dreamed it could be. Kylie previously worked in physiotherapy with special interest in birth and women’s health, before becoming interested in hypnotherapy and hypnobirthing. Years of physio clinical experience highlighted the important mind-body role in healing and wellness for Kylie. Her own four positive births were testimony to the power of that mind-body connection in birthing. Every woman hopes for a gentle, natural positive birth and Kylie believes that a positive birth experience creates satisfaction, well-being and empowerment that reach well beyond the birthing suite. She provides education and support to assist women to experience the joy and empowerment of a positive birth, no matter what circumstances arise. Group classes and private sessions are conducted in the Sunshine Coast and hinterland area at a number of locations including Forest Glen and Caloundra. Kylie has extensive qualifications and experience, and is committed to providing the best possible education and support to all her clients on their most important journey. I am a passionate midwife who has been in clinical practice for 10 years. I trained and practised in the UK, and moved to Australia 9 years ago to advance my midwifery career. I have worked in the public and private sector here in Australia, working across all clinical areas of the midwifery spectrum, and have been involved with home births and water births back in the UK. I believe I have found my calling in becoming a Hypnobirthing Australia™ practitioner. Pregnancy, birth and beyond is a magical journey. I wish to share the positivity and empowering impact that childbirth can have on you and your birthing partner. I believe that knowledge is power and that through the tools learnt in the hypnobirthing program, you will be well informed, empowered and be comfortable in birthing your baby gently into this world. Back in June 2017, I had my own hypnobirth when birthing my daughter. With the knowledge behind me and the tools in hand, my husband and I shared a quick and very positive birth experience. I loved every minute! I offer the full group course, individual private course, half group/half private course and the refresher course in the comfort of my home. I also offer the hypnobubs® private 90-minute upgrade via Skype or face to face. I look forward to meeting you and being part of your positive childbirth experience. My name is Kelly and I’m a Registered Nurse, Midwife and Hypnobirthing Australia practioner. As a Nurse and Midwife I work within a highly medicalised area and too often I was watching couples becoming disempowered due to the unexpected turns their pregnancies and births were taking. They were handing over control of their experience as they felt they no longer had choices…Then I discovered Hypnobirthing. After everything I had experienced as a Midwife specialising in high risk, my husband and I had to ‘normalise’ birth again. We took the Hypnobirthing Australia course and now have our very own Hypnobub. The birth of our daughter took many twists and turns, but it was perfect for us. My drive and passion is to give you the tools to you need to have an incredible birth no matter which way your birth journey takes you. I want you to feel strong, accomplished and empowered by your experience and above all, to always feel that you are in control of your pregnancy and birth. As a Hypnobirthing Mum I have experienced first-hand how powerful a calm, positive birth can be for Mum, birth partner and baby. Following the birth of my first baby I felt disillusioned with the ‘birth process’ – I felt like all decisions had been taken out of my hands. I absolutely knew there had to be a better way! With baby number two on board, my search began……. As a fitness ‘enthusiast’ I know that we can achieve amazing things when body and mind work together. I also believe in evidence-based approaches and, for me, Hypnobirthing Australia ticks all the boxes. I am passionate about ensuring women know we have choices when it comes to birth and providing accurate information to enable you to make informed decisions from a place of positivity. With over a decade of experience in adult education and training, I bring a supportive, respectful and light-hearted approach to my Born into Calm Hypnobirthing Australia classes. I am first of all a mother and have been fortunate to have had 4 normal births, each completely different, and thoroughly enjoyed my breastfeeding journey, something for which I am eternally grateful. I have been a nurse since I was 17, and went on to become a midwife in 1993, having trained at the Mater Mothers Hospital in South Brisbane. I extended my knowledge and skills by completing a Graduate Diploma in Child Health (Royal Childrens Hospital and ACU) and then completed a Masters Degree (Midwifery & Primary Health Care) doing coursework and a thesis on the exploration of women who stated they had insufficient milk supply. I did become a lactation consultant with the IBLCE, and then started working on projects to explore further working in the community and also in the public service. After living in Brisbane for 20 years, I returned to the Riverina to work as a midwife at the Wagga Wagga Base Hospital. I continue to work as a midwife. I love working with families during pregnancy, childbirth and beyond, and endeavour to keep topping up my ‘toolbox’ of skills. I completed an acupressure course in 2013, and have enjoyed completing the hypnobirthing practitioner training. I look forward to extending my midwifery journey and supporting families with the use of hypnobirthing to enhance their child birthing and parenting experience. Hello and my name is Liza Perks. I am a Master Neuro-Linguistic-Programmer, Master Time Line Therapist, Hypnotherapist and Trainer in all of these modalities. I am very interested in how the mind works and how to get the best out of it for yourself and your loved ones. From that moment onwards, I always knew that somehow I would share my experiences and show other women with a similar philosophy as myself, a new way of childbirthing. I have noticed in the media, pregnant mums have so much information available to them about where to buy the best prams, the most nutritious foods to eat, the best form of exercise whilst pregnant, but only limited amounts of information on calm, in-control instinctual births. My vision is to equip women and their partners the knowledge and skills needed to make informed decisions around the birthing process. Hi All. My name is Margaret Sommeling. I am a mother of four, a grandmother to one, I have an amazing husband who has been a fantastic support to me, and who made sacrifices to stay home to raise our children. I am a practicing midwife; I have been working in a Midwifery Group Practice model since 2011 providing continuity of care to many women. I had been intuitively working with visualisation and meditation techniques with labouring women within my own practice, therefore I sought out the Hypnobirthing Australia program to help build on my working foundations in turn using this proven program to educate women and their partners, who are committed to birthing together, who wish to take control and who seek the emancipation to birth without fear. I promote a holistic approach to birth. I support the belief that labour and birth can be positive and strive to ensure you achieve a positive, satisfying and supported birth, whatever the outcome!! Lorrae Griffiths – Osteopath and Hypnobirthing Practitioner. Lorrae is an experienced osteopath, certified hypnobirthing practitioner and co-founder of Focus Osteopathy. Lorrae is passionate about healthcare. She believes health care is a team effort between practitioner and client, striving to enable people to take the driver’s seat in their own health, inclusive of pregnancy. As an osteopath, she has a keen interest and years of experience treating and supporting women through their pregnancy journey from pre-conception to post-natal care. She believes a woman’s body throughout pregnancy is incredible. It’s capability to grow, protect and nurture a baby is inspiring. Even more, so is the intuitive nature of a women’s body through childbirth. Lorrae hopes for all women to feel empowered throughout their pregnancy journey, inclusive of childbirth. It’s this passion that lead Lorrae to become a certified hypnobirthing practitioner. Lorrae used hypnobirthing techniques for the birth of both her children and with such a positive experience, believed hypnobirthing is the perfect accompaniment to her osteopathic skills to assist her pregnant clients achieve a positive pregnancy and birth. Lorrae wants to see all women make educated decisions about childbirth and bring their babies into the world feeling relaxed, confident, strong and inspired. One of the biggest challenges of pregnancy and childbirth is sorting through all the mixed information and finding what’s right for you and your family. Often we feel embarrassed to ask the important questions or feel pressured by our caregivers. I’m Karen Moseley, and I am here to provide you with techniques and resources to help you achieve the birth that you want. As a Registered Nurse/ Midwife and Hypnobirthing Australia™ certified practitioner I am passionate about educating women and support people about the joys of birth and ensuring that you are well informed about your choices. I first discovered hypnobirthing whilst studying midwifery, I was and still am in awe of how well prepared and calm these women are in birth. In 2015, I joined this inspiring group of women with the birth of my very own hypnobub and knew that I wanted to share these amazing techniques with my family, friends and community. If you are looking for more information, please contact me. I would love the opportunity to discuss how hypnobirthing can help you achieve the birth you want. As a Registered Midwife, I feel so privileged to share with women one of the most precious, exciting and empowering experiences they will ever have. I have witnessed all kinds of births, both positive and negative. The first time I was fortunate enough to witness a Hypnobirth I knew it was something I had to learn and teach others, so here I am. I am so passionate about educating women, and ensuring they feel confident and empowered during their pregnancy, labour and birth; no matter the circumstances. I would absolutely love the opportunity to guide you through the Hypnobirthing Australia course to help you achieve your positive birth experience. I look forward to hearing from you! Catherine is a mother of 4 grown children and has a diversity of working experiences in community development, childcare and event management. Her passion for mothers and babies created a pathway to her becoming a Birth Doula (Labour support) and Postnatal Doula with Childbirth International. Her business is called Luvamama. For the past 5 years Catherine has been self employed as a Nanny, Doula and Independent Childbirth Educator. Catherine is passionate about woman’s health and emotional wellbeing during pregnancy, hence the name Luvamama. Her kind and gentle approach to birthing will support you and your birthing partner to connect in with your mind and body to prepare you for the most amazing journey of childbirth. As a Hypnobirthing practitioner, she is dedicated to positive birthing principles. Her desire is to have every mother seek to have a calm empowered birth. Catherine lives in Brisbane and holds Tuesday evening classes and every second Saturday in the month. Hypnobirthing classes are held at a beautiful setting on the Redcliffe peninsula. ‘Serenity Space’ is a purpose built yoga and healing space. 202 Prince Edward Pde, Scarborough, 4020. Renee is a Mum of two young children, Hypnobirthing Practitioner and has an interest in the antenatal and postnatal wellbeing of new Mums. When Renee was planning a vaginal birth after caesarean (VBAC) for her second pregnancy, she became passionate about positive Childbirth Education and is a firm believer that knowledge is power. Using our Hypnobirthing techniques, you will feel empowered, educated and confident for your birth. Renee can work with you to release any fears you have and prepare for a calm birthing experience, no matter which direction it may take. Renee run’s her group and private classes anywhere in Perth, visit her website or Facebook page to enquire now. Hello, I’m Megan. I am a qualified Hypnobirthing Australia practitioner, a midwife and a mother of one. I have recently completed my hypnobirthing training and have been a qualified midwife for 3 years. Congratulations on your pregnancy! As a midwife, I have looked after women and their partners through the antenatal, birthing and postnatal period. I understand that this can be an overwhelming experience and so I am extremely passionate about antenatal education and birth preparation as I believe the birth of your baby is the most important, and best day of your life. Hypnobirthing classes will prepare you to understand labour and birth as a normal physiological event and will equip you with practical, evidence based tools and techniques to approach your birth with confidence and positivity. This is the biggest and best moment of your life, and I can’t wait to help you achieve the positive, gentle and empowered birth experience you want. I’m Nikki Jones, a Registered Midwife and Hypnobirthing Australia Certified Practitioner. I am passionate about empowering women and their birth partners, educating and sharing knowledge, for women to know they have choice, power and to feel supported. I feel providing up-to-date, evidence based education and information supports making informed decisions towards having a positive, calm, safe and beautiful birth experience. I have been a midwife for 10 years; working in Midwifery Group Practice providing women centred continuity of care before having my first baby. Returning to work, teaching childbirth education in a public hospital before having my second baby – my own Hypnobub. Being a hypnobirthing mum myself, knowing the techniques, that they work, helped me have a positive, empowering and enjoyable birth. I want to share those techniques and connect with each couple that I teach, my goal is for you to leave feeling confident, relaxed, supported with a positive mindset, abundance of knowledge and tools to achieve your own unique positive and empowering pregnancy, birth and start to parenting. Offering regular 2-day group classes in a friendly studio with beautiful lake views, the ideal environment to share the Hypnobirthing Australia program. I also offer private classes and a postnatal education class so if you’re keen to know more please contact me. Kate is a warm, compassionate person who is truly dedicated to empowering birth couples and supporting them so they may have the positive birth that they deserve. Kate is passionate about teaching the Hypnobirthing Australia™ course, because she believes this course gives you the knowledge, tools, support and preparation to achieve this goal. Kate originally used hypnobirthing to birth her daughter in 2011 and knew then, this was a course all birthing couples should experience. However, it wasn’t until 2 years later, when Kate experienced an accidental unassisted breech homebirth that she realised to what extent the Hypnobirthing Australia™ course helps birthing couples. Kate comments on how amazing the birth of her son was and she credits hypnobirthing techniques and tools to how well the birth went and how well she and her husband were able to cope with the pressure of these special circumstances in the lead up to the birth. It was this turn of events that persuaded Kate to become a Hypnobirthing Australia™ Practitioner, so she could educate and support other couples so they too could be informed and understand their rights as birthing parents to have a wonderful birth experience with no regrets. Click here to view Kate’s birth story. My name is Tahnee, I am a Registered Nurse, Midwife, mother and Certified Hypnobirthing Australia Practitioner. I believe that birth can be empowering, beautiful and relaxing and that it all begins with a healthy and positive attitude towards yourself and your birthing journey. On a personal and professional level, I love childbirth. I appreciate the instinctual and peaceful environment that Hypnobirthing mothers create when birthing their baby. Hypnobirthing Australia classes have been designed to provide you with the tools, knowledge, positive mindset and support to help you gain trust in the birthing process. It is time to trust the incredibly clever process that your body does naturally, and that is birth. I would be more than honoured to support you, in achieving the beautiful birth you have always desired with Hypnobirthing Australia antenatal classes. I’m Amy, a mother of three gorgeous children who were all beautiful homebirths. I have a background in chiropractic and a passion for helping women to have positive and empowering births. The birth of your baby will be one of the most life-changing moments that you will experience, and it should be one you look forward to rather than fear. You may have heard lots of other women’s stories that sound frightening and painful which would naturally increase anxiety and fear surrounding your birth. Changing your thoughts and feelings around birth can make the most dramatic difference to how you experience labour and the birth of your baby. The Hypnobirthing Australia class will give you the tools to have a positive and calm birth, no matter where you choose to have your baby! I look forward to hearing from you with your questions or bookings. I am in my final year of Registered Nursing and have always planned on becoming a Midwife in the future. When I kept hearing about ‘Hypnobirthing’ from my friends and family members that had been using it for their births, I had to know more! I did my research and was blown away with how Hypnobirthing was positively influencing birthing experiences all over the world. I came across the Hypnobirthing Australia™ course and I was absolutely ecstatic! It was exactly what I had been missing within my education- a little something special to be able to incorporate into my future midwifery practice. It offered such a fresh perspective on birth how I could assist expectant mothers by offering techniques and knowledge that allowed them to make informed and most importantly, empowered decisions. I am so thrilled to start this new chapter with my Hypnobirthing and Childbirth Education business ‘Happy Birth Day’. It is a project that is very close to my heart and one that I plan to continually expand over the next few years, incorporating different aspects to offer antenatal, birth and postnatal holistic care. I look forward to meeting inspirational women from all walks of life and sharing their birth experience. With a background in Nursing and Midwifery, Sherie Johns is a PhD Scholar specialising in Chronic Urogenital Pain Syndromes. Previously as a registered midwife, Sherie experienced the full spectrum of birthing, from planned caesareans in bustling theatres to secluded home births, with particular interest in advocating for continuity of care and the opportunity for water immersion during labour and birth. With her PhD research focusing on understanding the mechanisms of chronic urogenital pain, she sees a link between increased pain, anxiety and dysfunctional pelvic muscles. Sherie has Pelvic Rehabilitation Practitioner Certification, and has provided successful physical therapy to hundreds of women with chronic pain problems that previously prevented natural conception. Years later, she still enjoys hearing from women that they have fallen pregnant and gone on to experience a positive birth, using the skills and techniques taught during therapy. Sherie brings with her a wealth of clinical skills and the unique qualification of personally being able to relate to women affected by chronic urogenital pain, and can share her experience of birthing with and without implementing hypnobirthing skills. With her passion and personal warmth, Sherie will provide you with professional birthing education, and will share a depth of knowledge that will leave you feeling more confident and relaxed about your upcoming birth. Julie Vélina believes that every woman deserves to experience a peaceful and calm birth and be confident in her choices. When Julie finally felt pregnant with her first daughter in 2012, she was determined to have the best experience possible; nothing was going to come in the way of the most anticipated and joyful event of her life (to date…). She discovered hypnobirthing and had a lovely, calm pregnancy and labour. Her baby girl came quickly and safely to the world. It was beautiful, memories that she and her husband still cherish to this day. Hypnobirthing helped Julie Vélina have the birthing experience she wanted, and it also helped her recover from post-birth complications very quickly. Surprising all the midwives, nurses and doctors. Julie since welcomed a second “hypno” baby girl to her family, this time without hiccups. A beautiful and quick labour and birth. Her experience was so different from what she was always told to expect that she knew she would eventually dedicate herself to other women, wanting to experience birth positively and calmly and to be empowered to make the right decision for themselves. From her experience, Julie Vélina learnt the importance of childbirth education and how providing an unbiased, independent, positive and evidence-based childbirth education program so women can significantly improve their experience and have a positive and joyful birth regardless of their personal circumstances. 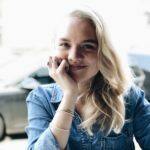 Get to know Julie Vélina via her blog (http://www.julievelina.com) where she shares some great information about pregnancy, birth and motherhood. Hypnobirthing Classes are available in Manly (Sydney Northern Beaches) and privately from the comfort of your home or via Skype. Tania’s focus is on helping women to successfully realise their goals through guidance, empowerment, and the belief you can achieve anything you put your mind to! As Owner and Director of Mindful Impact, Tania brings her vast experience and qualifications to the Hypnobirthing classroom to ensure parents release their fears and have the best opportunity to easily learn this incredibly powerful suite of techniques. Hypnotherapy has been a part of Tania’s life since childhood and her deep understanding of the mind body connection thrived during her own two positive, calm and natural hypnobirths. 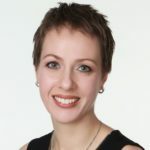 Combined with her personal experience and professional qualifications, Tania brings her practitioners knowledge of hypnotherapy, Neuro Linguistic Programming, NLP Coaching and Time Line Therapy® to all that she does. It is her belief that empowering women for birth is the most wonderful gift you can offer not just the mother, but also to her child and partner. Contact Tania to discuss how she can help you to design your own positive preparation for an empowered birth. Tania teaches hypnobirthing techniques around the Adelaide Hills and throughout SA, as well as over Skype. Hello, I’m Simone. I am a qualified Hypnobirthing Australia practitioner, and mother of one who used these techniques to peacefully birth my daughter – so I know firsthand they work! Every woman deserves a positive birth experience, and I’m incredibly passionate about empowering women to take control of their labour. This doesn’t necessarily mean a drug-free labour, but a significant event in your life where you can remain calm and recollect the experience with happiness; however your birthing journey unfolds. As both a keen meditator and a Science graduate from The University of Melbourne, I’m delighted to say I’ve found a blend of intuitive wisdom and logic present in Hypnobirthing Australia’s course. It just makes sense on so many levels. Birthing a child is arguably one of the biggest moments in a mother’s life. These classes prepare you to understand labour and birth as a normal physiological event and will equip you with practical tools to approach your birth with confidence and positivity. I encourage you to put the energy into preparing for the birth of your child. I’d love to help ensure you are in the driver’s seat for your big day. Simply click here to view my upcoming course dates and to book a class or phone me on 0407 139 886 to discuss your alternative course options. Kylie is a doula, placenta encapsulation specialist and a Hypnobirthing Australia™ childbirth educator. Mother to two rather fabulous children, their births and subsequent healing experiences, lead her to her new career and true passion, supporting women on the most important journey of their lives. Kylie loved being a doula but felt something was missing from her professional life, until she discovered, the true awesome, that is the Hypnobirthing Australia™ program. Kylie believes birth effects you on a cellular level for life, that knowledge is power and support, is everything. Birth should be a positive and joyful experience, regardless of your circumstances. Kylie is passionate about women empowerment. Babies are amazing and a definite perk, but her true driving force is the birth of Mothers. An absolute privilege to witness and experience. Maryanne is a Mental Health Social Worker, and Certified Hypnotist. She has a special interest in mindfulness, meditation, fitness and wellness. Maryanne has worked in the field of mental health for 20 plus years and as such, is very passionate about working with women, assisting and supporting them to achieve optimum overall health and wellbeing. Maryanne is mum to 2 teenage daughters, who were both birthed in a birthing centre, a beautiful, calm and empowered experience on both occasions. Maryanne is committed to educating and supporting women to have a positive and empowered, memorable birth experience. Hi! My name is Dahlia Lipson. I am a practicing Registered Nurse/Midwife with 7+ years’ experience and have loved everything about my job including meeting new people and making a positive difference in their lives. I have always had a particular love for women’s health and childbirth but I must have always had a calling towards education. Classmates used to tell me “you’d make a great teacher Dahlia”. Well, they were right! Here I am now, a passionate Hypnobirthing Australia Practitioner! As a midwife and mother of two and having experienced such wonderful labours and births, I know the importance of feeling positive about pregnancy, labour and birth whether completely natural or not. Drawing on years of techniques and philosophies, current evidence-based research and effective relaxation techniques, mothers, partners and their babies can all benefit from the hypnobirthing approach to childbirth. It is my mission and absolute privilege to help equip women and their birth partners with the knowledge, tools and support to feel prepared for a calm, empowered, safe and positive birth experience no matter what turn their journey may take. Head to my website to book a class and I look forward to meeting you! I am the textbook example of how the Hypnobirthing Australia course can transform birth. Having experienced a traumatic emergency Caesarean with my first child, my partner and I found the Hypnobirthing Australia toolkit to be life-changing for the birth of our second child. In fact, I was so inspired by my healing, hypno-birth I became a trained hypnotist and certified Hypnobirthing Australia practitioner. It is my mission to share this incredible program with my community and beyond. How we birth matters. The birth of a child is also the birth of parents, and this momentous event should be one of peace and joy. The education, tips, tools and techniques taught in this program allow families to remove uncertainty, fear and worry and install confidence, joy and excitement. These skills are applicable for pregnancy, birth and beyond- investing in this course is making an investment in life-long tools. I am proof the Hypnobirthing Australia program works and I would love to share this amazing, practical course with you and your birth partner. Hi, I am Gabriel – mother of three gorgeous little humans, birth educator, Chiropractor and bedtime story extraordinaire. It is my mission to help as many women as possible achieve positive birth outcomes and see the wonderful flow on effects to their babies as they grow. I know that a positive birth experience has the profound ability to impact the entire family and I get so excited about teaching women and their support team how they can achieve this. I just love talking all things pregnancy, birth and beyond. My approach is always centred around understanding just how magnificently our body is designed and working with the incredible innate intelligence within us to help you achieve whatever it is that you truly seek as a conscious mother. I know this picture looks different for everybody, so I love to be realistic, and practical, but also look at all of the possibilities, whilst having lots of fun. I have had the honour of working with many mothers and their precious babies throughout all stages, (preconception, pregnancy and earth-side) as a Chiropractor. Through my training and experience, I have developed a great understanding and reverence for this special time in the life of every family and it would be my pleasure to share a part of this journey with yours. Bachelor of Applied Science (Complementary Medicine). Masters of Clinical Chiropractic. Hi, I’m Sarah. I am an Acupuncturist, Chinese Herbalist, certified Hypnobirthing Australia™ practitioner, Doula and mother of two. I felt so incredible after each of my son’s births; I honestly just wanted to do it all over again! From an intense hospital induction to a beautiful, calm homebirth, I have learnt that it’s not so much how or where we birth that makes the whole experience positive, but having the right knowledge & support makes all the difference. The Hypnobirthing Australia™ program completely transformed my fears & doubts surrounding birth and I truly believe this knowledge is the missing link in our current maternity system. My wish is for all women to feel this prepared, confident & excited to birth their babies! Then if their birth does take an unexpected turn, for them to feel equally as positive about their experience. I offer small group & private classes in West Perth and Perth’s northern suburbs, as well as Acupuncture & Chinese Herbal medicine consultations with a focus on conception, pregnancy & birth preparation. I am so honoured & thrilled to be sharing this wonderful program with others & look forward to meeting you. I am a mum of one – a little boy named Clancy! I live in Tamworth and saw a need for positive childbirth education when I taught myself Hypnobirthing to birth my son! After birth, I knew Hypnobirthing Australia’s course had to be offered in Tamworth! I am proof that Hypnobirthing does work after being induced and still continuing to have a calm beautiful birth. I want every birthing mum to birth with ease and confidence. I want them to feel empowered and prepared to have their baby. My goal is to share Hypnobirthing in the Tamworth community and give other pregnant mums the tools needed for a calm, positive birth. I am currently a student doula. I am offering group and private classes to Tamworth and the New England Region. My name is Julie and I am blessed to say I am a wife and hypnobirthing mother. I was reborn the day my first son was born. I have become more aware of who I am and what legacy I want to leave behind. And so begins the story of me. Once a corporate racegoer qualified in business and technology and now a passionate and full-time advocate for birth with one goal – to share positive birth and help parents realise their birth potential. I believe it takes one generation to make the world a better place and so I dedicate my time to help facilitate empowered and calm birth, remind mothers that they are made to birth, encourage birth support and connection and help parents appreciate that if their minds and bodies are prepared, fear and tension has no home. If this is the experience you are after and you are unsure of how to navigate the birthing world, please reach out. I have been there before and can assure you that you have already made a huge leap in positive birthing by just visiting. So, thank you for being part of the change! Hello, my name is Rebecca and I am a Registered Nurse, having been nursing for 13 years and mum to 3. I am also completely obsessed with all things pregnancy and birth! I first became aware of the Hypnobirthing Australia programme several years ago. After learning more about the programme & reflecting on my own 3 births, I quickly realised that this was THE piece of the puzzle that is missing for all expectant mothers. This programme provides you with the tools necessary to enable you to confidently, calmly and positively navigate any situation that may arise in your pregnancy and birth. I am extremely passionate about birthing being a positive, uplifting experience. Over many years of nursing, I have been privileged to meet so many families postnatally & have seen the impact both positive and negative birthing experiences can have. I want positive birthing stories to be the norm. You only get one opportunity to birth your baby, my wish is for women to look forward to birth with excitement, knowledge and confidence and for each & every woman to have their BEST birth. I draw on my knowledge of the health care system and my many years of clinical experience to offer women choice in accessing an independent, evidence-based and a truly comprehensive antenatal programme. I am based in the Mandurah/Peel area in WA & offer both small group and individual classes. I invite you to contact me and I look forward to working with you to help you achieve a calm, positive birth. Nikita is a loving mother of two beautiful boys. After using hypnobirthing for her second birth and being so amazed fell in love and decided that this was a path she wanted to go down to help empower other mothers to have a calm empowered birth. Nikita is also a hypnotherapist and empowering coach and practices kinesiology. Her passion is empowering “Women”. After training with Hypnobirthing Australia™ she knew it was her passion working with mums and their family’s to guide support and empower then before birth during and after. Barb is a registered Nurse and Midwife who has a passion for women’s choice and helping mothers have access to education to empower families to make informed choices. As a midwife of 20 years in the field, she is well qualified to offer parents professional continuity of care throughout their pregnancy. Barb is the Director of Albury Wodonga Midwifery Services and currently works in a private practice as a private midwife, able to provide midwifery care throughout pregnancy and on discharge from hospital, with many services attracting a rebate from Medicare. Barb is also a mother of two beautiful children and wishes this type of education was around when she had her children. Barb is very excited about the opportunity to add hypnobirthing to her suite of services, with a belief that hypnobirthing aligns well with her philosophy of midwifery. My name is Anne Carstairs and I am a practising Midwife. My passion is creating positive change for birthing women in Australia on a deep subconscious level. I teach forgotten primal birthing wisdom with a modern twist; by releasing old negative, fear-based associations of childbirth and transforming it into knowledge and awakened power from within. My dream is for Hypnobirthing Australia™ to be the norm of childbirth education. So women and their partners have evidence-based tools and knowledge to feel ready and confident to surrender to childbirth. My drive is to help mothers to believe in herself and her perfect body with positive self-belief that will last a lifetime. I have witnessed the negative effects that disempowered and traumatic births have on a mother and her family. This is why I am very passionate to give women back their power through knowledge and guide women on a subconscious level to release unwanted fears of childbirth. I feel honoured to be sharing such a beautiful gift of wisdom with mothers and their partners in the positive and empowering birth movement of Hypnobirthing Australia™. After the birth of her fourth daughter, Tani recognized a deep calling to commit to helping families have their best birth. Her Husband and girls have travelled with Tani across Australia and throughout Indonesia as she studied Midwifery, then while pursuing a Masters in International Public Health. A family-based philosophy was formed along the way thanks to the support of her little tribe and continues today. She believes that your baby’s birth is an extension of your love. In raising a baby who is born into love, they will grow to be a happy child and secure adult. Tani continues to learn from the women she cares for in practice as a Midwife in both Gympie and the Sunshine Coast. In teaching Hypnobirthing, she offers a space for couples to become empowered to grow their knowledge as a parent through pregnancy, birth and beyond. Hypnobirthing I believe has the power to transform Maiden into Mother in the most empowering way. Harnessing ancient wisdom with modern science is something that has always gripped me and I feel compelled to spread and share true wisdom when I hear it. Through my yoga teachings I have done just this, a couple of years after returning from India from my initial yoga training, I ventured to Byron Bay during my first pregnancy to become a fully certified Pre/ Postnatal Yoga Teacher (RPYT). I found working with women at this beautiful stage in their lives was a desire unearthed within me and I was compelled to grow and share more after my first beautiful birth. Now having just completed my Hypnobirthing certification with my second pregnancy I cannot wait to teach and share this amazing course from a place of true authenticity. I run courses in my isolated community Weipa, Cape York and host courses where I grew up on the Atherton Tablelands FNQ. I believe spreading this fantastic knowledge, to create the calmest energy during this sacred time of transition for all, has the power to transform future generations. I would like to embark on this journey with you. To provide a safe space to replace any fears of birth with confidence, not just for you, but for your birth partner too. Help you to achieve your hopes and dreams for your birth, regardless of what course your labour may take. Offering ongoing support after the course and if you have any residual fears, which I doubt you will, I will gladly come to your home and do a one on one fear release with you and/or your birthing partner. After having two hypno bubs myself and a background in hypnotherapy, I have been constantly drawn back to hypnobirthing over the last five years. It is something I am deeply passionate about and I am so excited to be part of this birthing evolution. Women need to hear amazing birth stories when pregnant, not the war stories that so many women seem to have. We need to spread the word that birth is a beautiful and powerful experience, which can be embraced wholeheartedly. You will become an advocate for Hypnobirthing for years to come. You will be able to pass on the skills you have learnt to friends and family, and even one day, to your own children. Offering small group classes and private classes in your own home if preferred. Contact me today to discuss payment plans and course options. A registered midwife since 2012, Hayley’s philosophy stems from the belief that all women deserve to feel empowered about what is essentially an innate process; labour and birth. Creating a beautiful birthing experience sets a strong foundation for motherhood and importantly, for the vital process of positive mother/baby attachment from an early stage. Natalie believes in birth without fear… and she knows first-hand that it is possible! Becoming a ‘hypnomum’ was a life-affirming event for Natalie, so much so that she has been inspired to share with other women and their birth partners the Hypnobirthing Australia course as a practitioner in the Brisbane South area. Hypnobirthing helped Natalie and her birth partner move beyond fear and anxieties and plan for a beautiful birth. It may not have been perfect, but it was their beautiful birth and certainly a day to remember! Natalie is guided by the principle that every birth can be positive. As an educator, Natalie has worked in early childhood, primary school and adult education settings. Educating and empowering others is a lifelong passion for her. 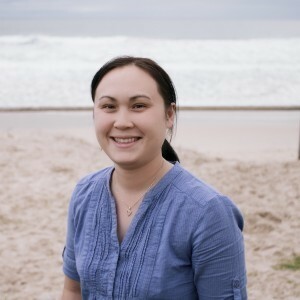 Natalie uses her expertise to bring the Hypnobirthing Australia course to life so that you can learn our proven techniques in a comfortable and engaging way. Natalie is a hypnomum and an educator who would be honoured to share these two passions with you at this most important time in your life – preparing for the day that you will meet your baby! To contact Natalie please phone 0433 617 176, email natalie@birthbabyandmebrisbane.com.au or visit https://www.facebook.com/birthbabyandmebrisbanehypnobirthing. “The birth of your child should be a beautiful, empowering experience. I believe that all people have the right to knowledge about all avenues and options to enable them to make the decisions that are right for them and their babies.” – Claire’s vision. Claire is a maternity nurse, caring for new parents and their babies in the first few days after birth, and a Hypnobirthing Australia™ Practitioner/Childbirth Educator. She is also a mum of one. After completing the Hypnobirthing Australia™ course with her husband, they went on to have an amazing birth of their first child. Claire often gets asked the story of the birth and is passionate about sharing what hypnobirthing helped her and her husband achieve – a beautiful, serene, empowered birth. Claire believes in walking alongside you on your journey, sharing knowledge and tools, with the desire that you achieve the positive and empowering birth we all deserve. The day you meet your baby should be beautiful. Claire would love to help you have a birth to remember. Trudy Vains from Burpengary is dedicated to pregnancy, birth and postpartum in many ways. Her yoga studio is filled with all things pregnancy, and this is where she holds four classes for Pregnancy Yoga per week, (15 classes of other style classes per week) two Mums and Bubs classes per week, Hypnobirthing, Child Birth Education, Spinning Babies Parent Class as well as Doula information sessions. 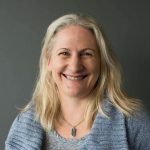 Trudy attends four births per month as a Birth Doula and offers Hypnobirthing Australia™ classes in her packages, as well as offering in small group sessions. Her toolkit for birth is full and can help you in many ways. Trudy attends hospital births only that range in distance from South Brisbane to Sunshine Coast. Lillian is a determined young woman and student midwife with a love of supporting women and their families throughout their pregnancy, birth and into the journey of parenthood. Lilly is deeply passionate about creating space for women to feel into their own power, abilities and intuition. She blends her midwifery knowledge with her skills as a pilates instructor to infuse her education as a Hypnobirthing practitioner with a holistic and health-conscious mindset. Lilly hopes to guide her clients with love and encourage our society to bring back the ritual of birth.